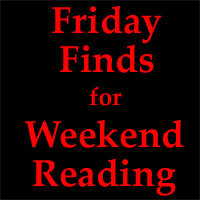 This week’s “Friday Finds” highlights Matt Cutts’ recent announcement that Google will soon be releasing Penguin 2.0. In his video, Matt talks about Google looking closer at advertorials that violate Google’s quality guidelines. He also talks about new algorithm changes that attempt to detect links to “authority” sites and rank them higher in the SERPs. Another article that you may find interesting addresses speculation (among some SEO experts) that Google+ may come into play when it comes to detecting authority. Last Friday, Matt Cutts (the head of webspam at Google) tweeted that within the next few weeks, Google will be rolling out version 2.0 of its Penguin update. While the first update focused on black hat SEO and quality links, Cutts noted that this release promises to focus on giving special ranking boosts based on “authoritative” sites. While he doesn’t offer specifics on how authority is determined, there’s speculation that participating on Google+ may have a positive impact. If Google were to begin giving more weight to links shared on their social networking site, this could potentially have an impact on where an article appears in the SERPs. Of course this is just speculation at this point but for those of us who have been somewhat slow to actively participate on Google+, this may be one more reason to think about it strategically. Matt Cutts: What to Expect in terms of SEO from Google? Google has been “looking at advertorials, that is, sort of native advertising and those sorts of things that violate our quality guidelines”. Google is looking at ways to deny the value to link-spammers. Google continues to work on “hack” sites and to communicate better with webmasters who have had their sites hacked. What are your thoughts? Are you concerned that the Penguin 2.0 updates may have a negative impact on your SEO efforts? Do you find that these video chats that Matt Cutts tapes to answer specific questions valuable? Personally, I believe him when he closes his video saying “We’ve got a lot of nice changes queued up that hopefully will help (you know) small/medium businesses and (you know) regular webmasters as well”. I’m hopeful at least. It’s no surprise that Google’s future update will prioritize its platforms. Attaching more value to links from Google+ is one of the things I expect in up coming Penguin updates. Well, let’s wait and see how it goes and thanks for this Friday update. Enstine Muki recently posted..Google’s New #1Ranking Factor has been revealed! Huge Shock! Matt is a genius. I like all his videos and adore reading him everywhere and all the time. This piece of info is extremely useful, too. I’m new to your blog and I browsed some of your posts Sherryl, and I’m seriously impressed! Thanks for the kind words and for taking the time to leave a comment. I agree with you that Matt is a genius and he seems relatable which is nice. He brings the human touch to Google. Sounds good to me. What they are doing makes sense. And, as you know I have been saying for a long time that Google Plus will make a difference for SERPs. You and others have been talking about Google Plus for a while. It’s definitely getting more important to establish a presence there. Thanks for weighing in on this. Yep. Google Plus is not great but it seems we may need it. I haven’t read that Catarina. If you come across that article again, please send a link to me. I’d like to look into it. Andy Bailey works really hard to stay on top of things like this. Recently, there was an issue with a popular hosting company that was blocking CommentLuv comments. (I can’t remember which one it was right now.) As soon as the issue was identified, there was an email sent out alerting Andy’s email list of what to do to rectify the issue. (I didn’t encounter the issue but I believe the solution was to contact the support team of the hosting vendor and explain the issue.) Also, many bloggers were posting the issue. There’s a lot of support in the community. As a blogger who has made some money posting advertorial articles for SEO companies I’m definitely a little nervous. There’s nothing wrong with any of the articles, in fact some of them have been very popular, and I do disclose that the post was sponsored, but anything that google does makes me nervous. They’re a monopoly and can pretty much do whatever they want. The last couple updates have probably helped my blog as I write a lot of good content, but I’m always worried that be day I’ll open up my stats to see that google has just written me off! I guess I’ll have to wait and see. I can’t say for sure but I think you should be fine. I’ve seen a few advertorial articles on your site but I don’t remember seeing anything that made me think that Google would have a problem with it. The sites that pop into my mind (that I suspect Google might be targeting) are so riddled with links to advertising that it disrupts the flow of the content. You provide quality content and that’s what Google is purportedly looking for. I can’t see that my site would have any problems and I think it is good they are doing the updates. I saw this video this week and like Jeannette I wonder what he means by authority. The problem with words like authority or great content is they are too general and subjective. Also on an aside matter where Google or anyone else talks about the importance of social shares they must know these can be manipulated to increase the count. I agree with you Susan that sites like yours, mine and the vast majority of the readers who comment here won’t see a negative impact from Penguin 2.0. I believe that the algorithm changes will help us by penalizing spammy sites which should help increase the odds of our content being returned in the SERPs. As for social shares, hopefully, Google is working on algorithms to help weed out spammy social sharing. They should be able to flag at least some of some social sharing sites the same as they do with spammy link farms. Thanks, Sherryl, for this helpful information. I wish he could have been more precise in his definition of “authority” sites. Is there an opportunity for a small business to become an authority site? I don’t mean social media celebrities like Guy Kawasaki or Brian Clark, who, while wildly popular, are still essentially small businesses by most definitions. I mean plain folk like you and me. I’m glad Google is trying to offer more help to webmasters to solve difficult issues like hacked sites. I wish Matt Cutts would have shared some insight on what Google deems authority sites too. I think sites like yours and mine are benefiting from the new changes. My organic search results have been steadily increasing since I implemented the Google Authorship tag. I know the bounce rate is high but I still believe that we’re getting new and loyal readers along the way. I’m cautiously optimistic that the Panda and Penguin pages have been good for bloggers who concentrate on providing quality content. Sherryl — even the experts have high bounce rates, particularly from search engines. Readers click on a link and discover it’s not what they were looking for so they take off quickly. That’s why I don’t get too excited by search engine traffic. Traffic from other sources stick around much longer. Being “mindful” of what we’re doing is a great approach Susan. I agree with you and firmly believe that most of of the bloggers who I respect and follow will probably be better off in the long run. Thanks for weighing in on this Susan.